I have had this patterned paper from the Haunt It Collection for some time, but since I love it SO much I haven’t had the guts to use it until now. This picture of my daughter lying on an old quilt is just perfect for this paper! The colors in the quilt match the colors in the paper. Different Tattered Angels Glimmer Mists add an extra boost of color to the page. Strips of paper from “Orange Patchwork on White”from the new collection Christmas Miscellanies layered with burlap strips and Tattered Angels Lace trimming add dimension to the page. The chipboard was painted with Tattered Angels Glimmer Glaze. Some random embellishments from my desk finish off the page nicely. Please view the process video below to see how the page was made. Thank you for your visit today! 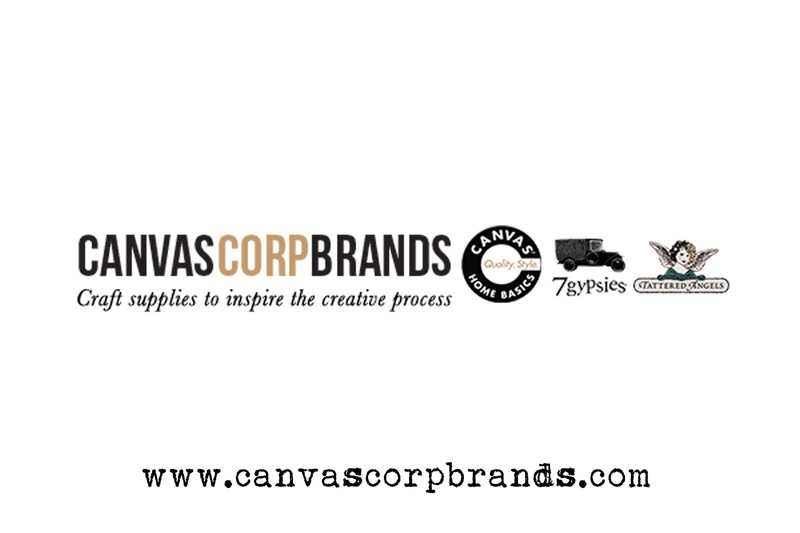 Be sure to visit the Canvas Corp Brands Shop to pick up your Autumn project supplies then show us what you make! Just share your photos on social media and tag us with #ccbchallenge. We’ll find you! Other products from Scrap FX, Wild Orchid Crafts, A Flair for Buttons. Great video. Fabulous and fun layout.